A month ago it looked like Natalie Portman could be heading to "Jupiter," but now she appears committed to spending much of 2012 with Terrence Malick. Portman has signed on to star in two Malick films, reported Deadline. They will be Portman's first roles since winning Best Actress for her work in "Black Swan," as well as her first time working with Malick. This summer, Portman, Christian Bale and Cate Blanchett will shoot "Knight of Cups," and then those three will join Ryan Gosling and Rooney Mara to film "Lawless." These being Malick films, no one's quite sure what they're about, though there's been plenty of sightings of him with Bale and Gosling at different locations, including Austin City Limits. 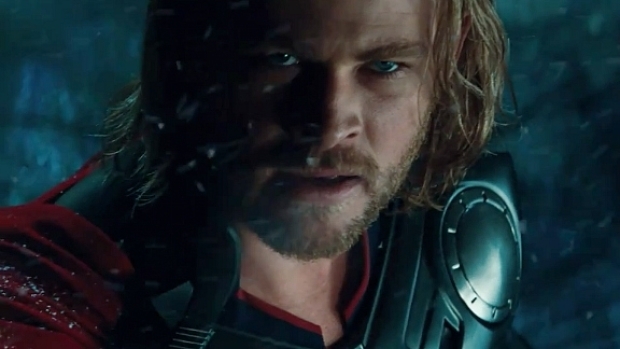 And at some point, Portman will move on to "Thor 2" with an eye toward a November 2013 release. Last month there was word that Portman was being courted by her "V for Vendetta" directors, the Wachowski siblings, for the sci-fi epic "Jupiter Ascending," and was also considering making a documentary adaptation of Jonathan Safran Foer's vegetarian polemic "Eating Animals."